Sailing in clear waters can be quite exciting, but running the same business and arranging big boats for travel and fun activities involves a lot of agreements and license clauses to be fulfilled. 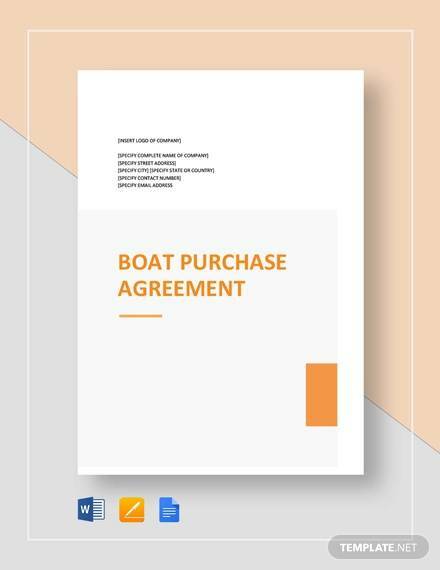 The Boat Purchase Agreement helps you to buy or purchase boat for business perspectives from manufacturers on direct basis and it defines all the legal clauses and amendments that are required to be duly filled while making the purchase. 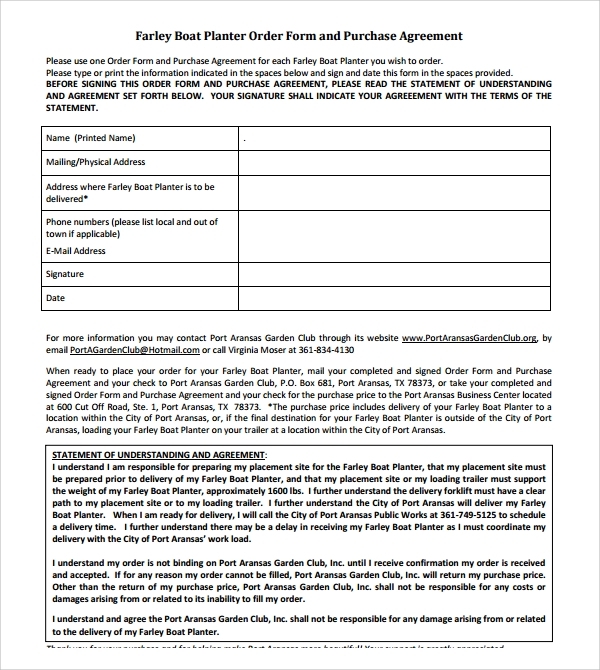 Since the agreement is specially designed and developed by experienced professionals, it includes all the required terms and conditions that can make your agreement valid, if signed by both the parties. 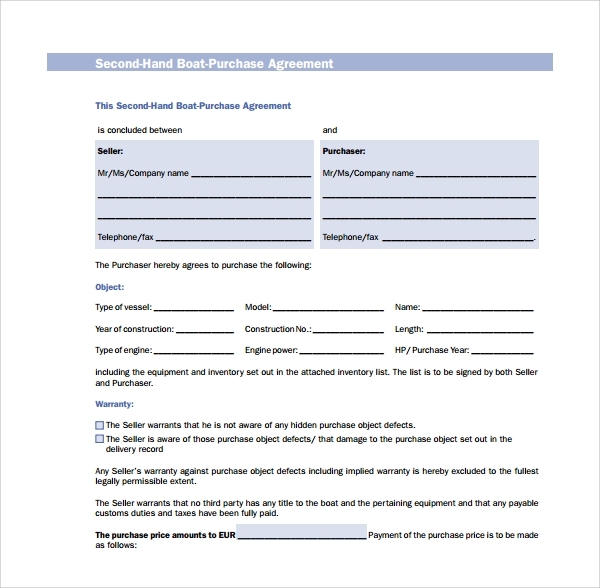 You Can also See: Auto Purchase Agreement Template. 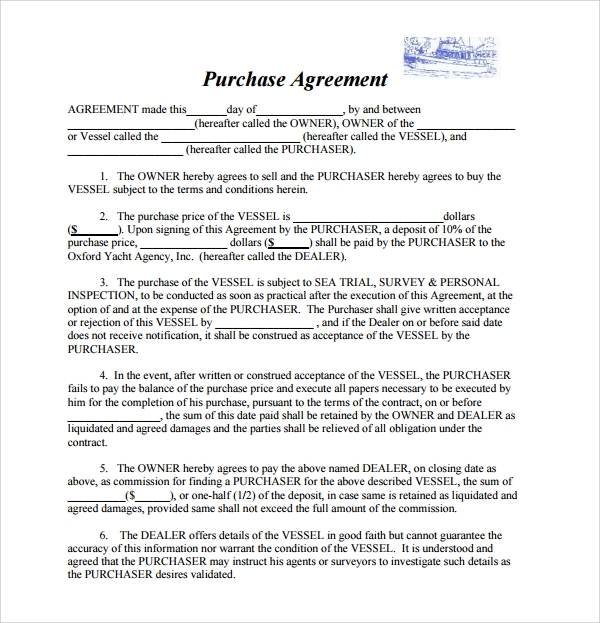 The Free Boat Purchase Agreement makes the task of buying and selling boats a lot easier by describing all the included clauses within the template. 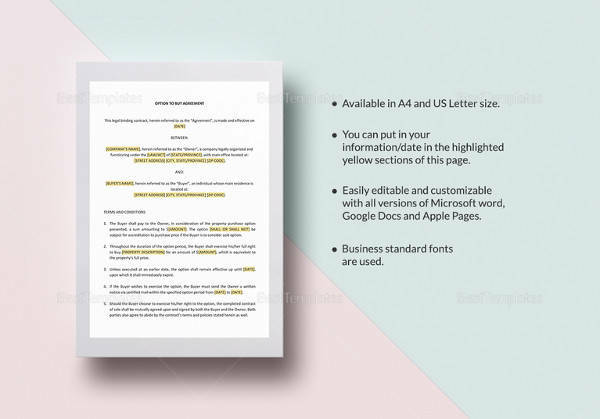 It can help you in making the world of business go round by describing all the legal terms, inclusions of the deal and other vital facts in detail. 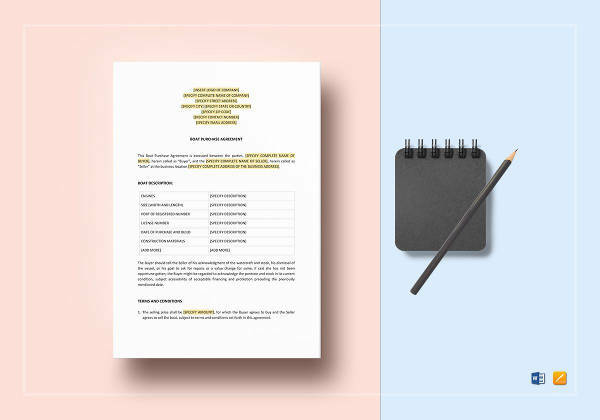 The template is available for both formats, including one-time sale or an ongoing agreements, to help you assure that your sale or purchase is valid and can be challenged in future as per a legal process. 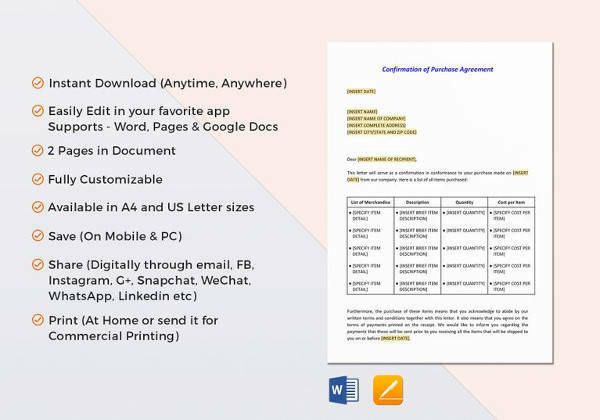 All of these readymade templates assist you in maintaining an organized paper trail that helps you to present a clear, transparent and concise detailed report to the auditors. All in all, these ready to use templates assist in keeping an eye on what’s coming in and what’s going out to provide a detailed insight about your financial transactions. 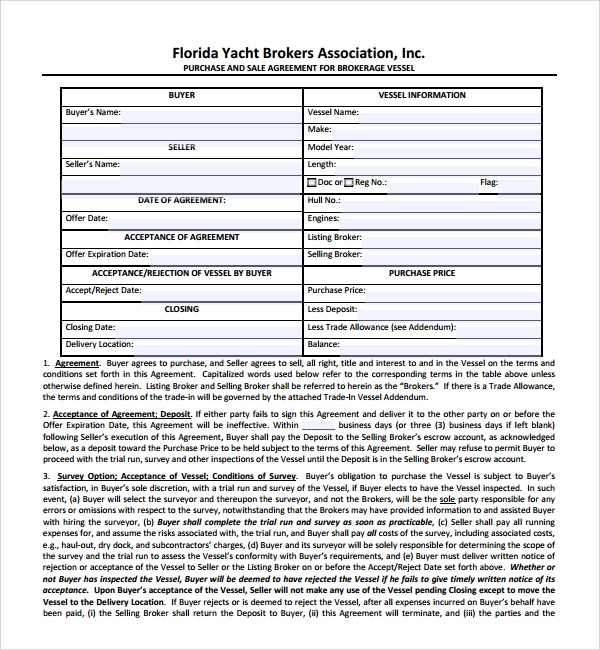 As the name suggests, the Boat Purchase Agreement Form is one of the simplest and easy to fill free boat bill of sale or boat sales agreement that can be used against any legal document. You can easily use them for the transferring of title (ownership) without involving any legal advisor. 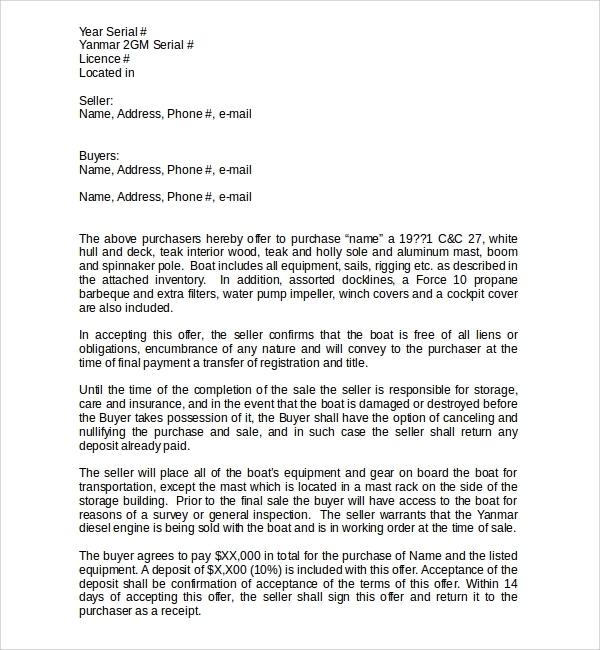 The templates includes a lot of terms and conditions that can be easily modified and used to sell or purchase a new or used boat and trailer. 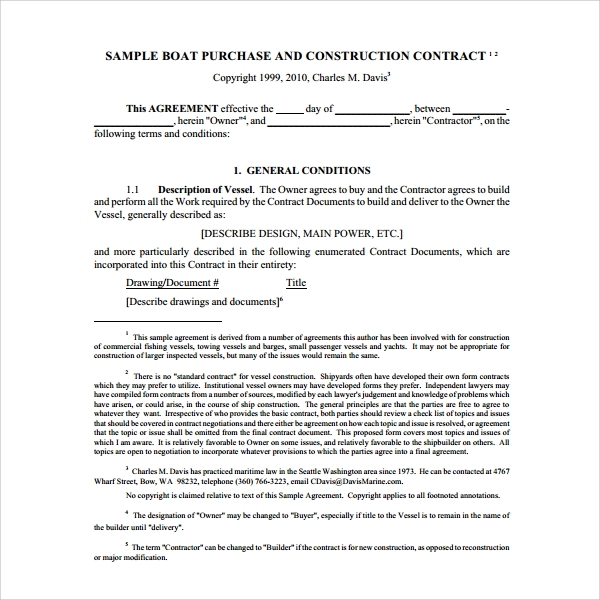 Since selling a boat may make you liable for taxes, these signed templates can work as your bill of sale or a legal proof of the selling price. 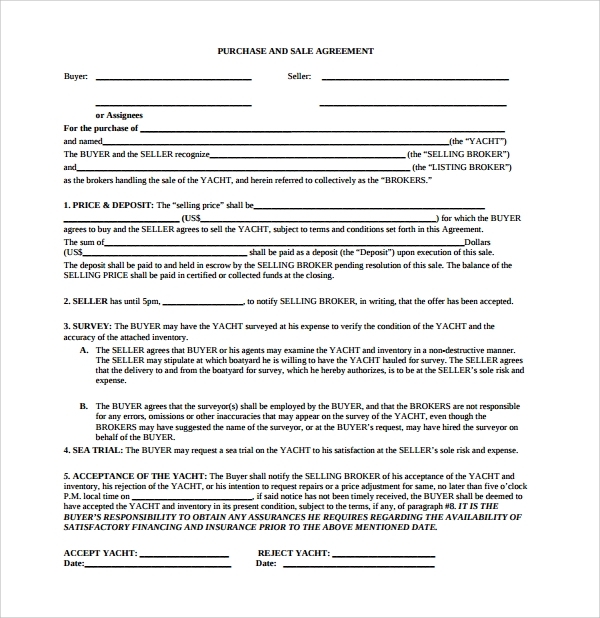 You can easily use the sections mentioned in the template for recording a single payment and optional holding deposit to practice fair business dealings.